March 19th of this year eCOGRA will host a training course, with accredited companies that are under review from around the world. These companies have already committed to the expense of sending their managers to attend. 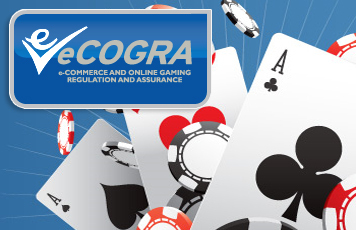 This 2 day course will commence with a senior independent director from eCOGRA, followed by former Chief Inspector Bill Galston OBE of the UK Gaming Board. Then they will have detailed tuition sessions, presented by expert professional speakers from GamCare, on the clinical and social aspects on the problem, and the underage gambling problem. The program is designed to cover all aspects of responsible gambling awareness and to implement of effective and practical measures to identify and exclude problem gamblers, and with emphasis on player protection, customer communication, providing players with information. The attending mangers will learn this and return and teach it to their staff. And train them to deal with responsible gambling issues, and marketing initiatives in compliance with the Responsible Gambling Code. To read more on this seminar and on eCOGRA : www.ecogra.org.